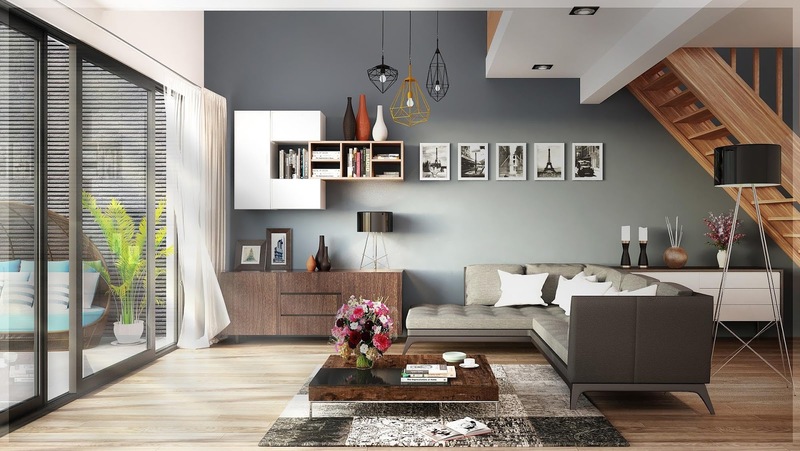 If you’re interested in a bit of remodeling but can’t decide on the style, or if you enjoy both the smooth lines of modern interiors and the comfort of the more traditional themes, the transitional style might be just the thing you’re looking for. It is a style that combines traditional elements with the modern ones into a mix of simplicity, warmth, and elegance. If this sounds like something you would love to implement in your own home, here’s what you should know about this style. As with any other style, there are a few “rules” you should follow if you want to achieve the desired effect. When it comes to the transitional style, one of those rules states that you should stick to those furniture pieces that have simple, elegant lines instead of those that are curvy and rounded. For instance, you can replace your usual round door knobs with levers, and your round bathroom sink could be rectangular instead. That being said, this style is a mix of modern and traditional after all, so you can use round and curvy furniture items, but make sure they are complemented with other items that have cleaner and straighter lines. 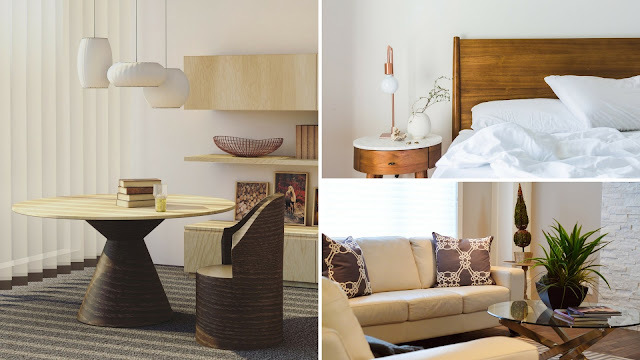 The transitional style is all about neutral colors like beige, taupe, white, gray, and similar. Breaking the monotony is usually done with slightly bolder accent colors, and you can introduce even more color with accessories like pillows, paintings, flowers, etc. Plus, by painting your walls in neutral colors, you’re giving yourself more freedom in regard to the flooring options – you can use different floor surfaces throughout your home (just preferably not in the same room), and they will make everything seem much more personal and interesting, especially if you add in some subtle patterns as well. One of the downsides of neutral colors is that they can’t really make your place look “exciting”, but that’s where textures come into play. Wood, glass, brushed steel, metals, matte and shiny finishes, and various interesting fabrics can do wonders for your space. They fit into both the traditional and the modern design, so they are perfect for the transitional one as well. Just try to find a balance between the textured elements and sleek surfaces. 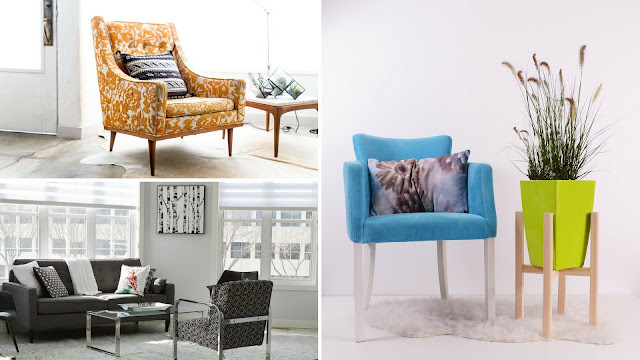 Your furniture should stand out, and in order to make this possible, you should choose larger, comfortable furniture pieces. For example, a great choice would be a big and comfortable leather sofa that can complement the neutral style of your living room. Plus, the leather texture also enhances the transitional style and makes your space look modern and chic. You can also match the leather sofa with a coffee table that has sharper edges, for that mix of sharp and curvy lines. Or you can do the opposite – choose a round coffee table and a sharper-looking sofa. Even though this style is mainly minimalistic, you should still create a couple of focal points. A good focal point can truly bring your space to life, so don’t be afraid of introducing a few statement pieces. Even though this might sound a bit paradoxical, the best way to make your home look modern is to introduce something antique into it. For example, a vintage bath can bring the appearance of your bathroom to a whole new level, while comfortable rustic outdoor furniture will go perfectly with a nicely landscaped garden that is filled with other more contemporary elements. Just don’t go too far with this kind of mixing – the key, as always, is in balance and moderation. Art works wonders when it comes to making your transitional home unique. The trick is to place your statement pieces wisely, and if you manage to do that, you won’t even need a lot of them to achieve the effect you’re looking for. Therefore, feel free to go big and hang a huge painting above your fireplace or bed. Moreover, the artwork is the part that should be modern, so opt for some more abstract paintings or graphic prints – but place them in simple frames. If this kind of unique and flexible style is something you could imagine yourself being surrounded by, don’t hesitate to start redecorating your home today. Focus on the neutral colors, mix sharp and smooth lines, spice things up with accents and accessories, create some wonderful focal points, and your home is guaranteed to look better than ever before.